If you read the last post you will remember the 4 scarves that I started last week. I showed you pics of 3, but not number 4. My little girl, Ireland, recently asked me to make her a scarf. She watched me start all of those scarves last week and decided she wanted one too. So, number 4 is called Ireland's Scarf. I had this pretty Raspberry colored yarn that I thought would be perfect for her. After I finished, I showed it to her and she said, "I didn't want pink, I want red!" Ireland requested a "no holes" scarf so I used a very simple stitch. I am a little tired of using half doubles...and I didn't want to use singles either. So I decided to use extended singles. I really like it. It creates a simple but modern look. Extended Single Crochet (esc): Insert hook in indicated st or row, yo, pull up lp, yo, pull through 1 lp on hook, yo, pull through 2 lps on hook. Row 1: Esc in 2nd ch from hook. Esc in each ch across. Ch 1, turn. Row 2: Esc in each st across. Ch 1, turn. Repeat row 2 for a total of 10 (14) rows. Finish off. 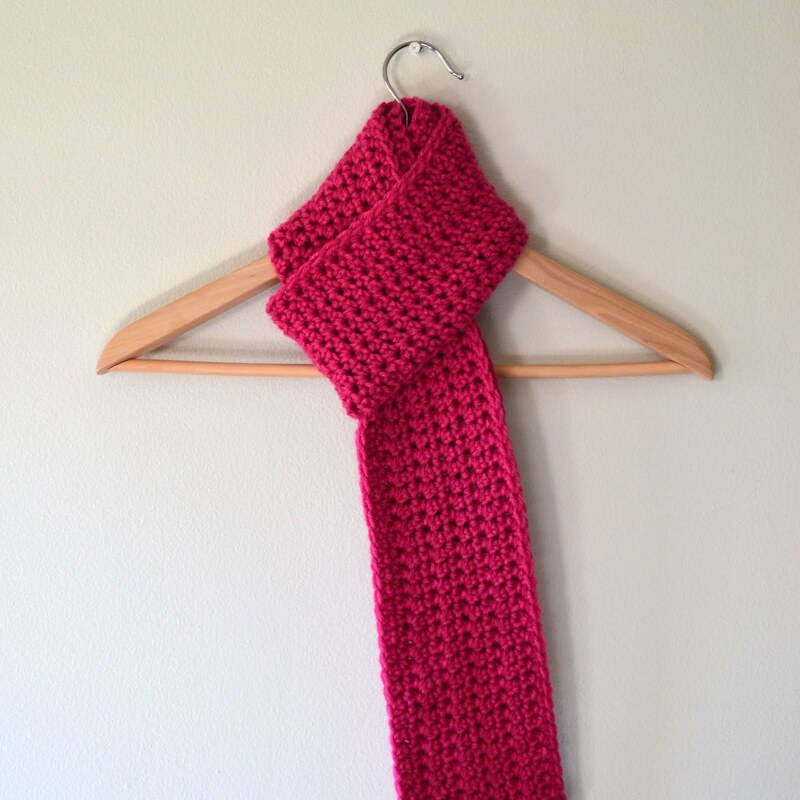 You can make the scarf wider by adding more rows. Change it up by alternating esc rows with dc rows. You can easily alter this pattern to make it more interesting or more to your liking. Oh thank you! I've never heard of the extended single! I'll have to try it! Thanks and you're welcome. I think you'll like it. I like to try different stitches. This one is pretty simple. It's not amazing or anything but simple is good sometimes for some things. I absolutely love that color... do you remember what brand of yarn that is?? 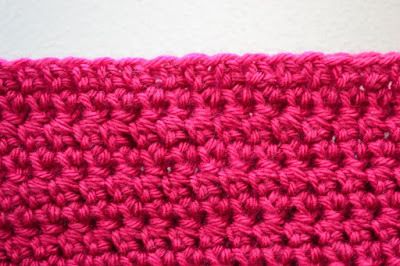 Will try that extended single stitch too, have never done that one but I like the way it looks! 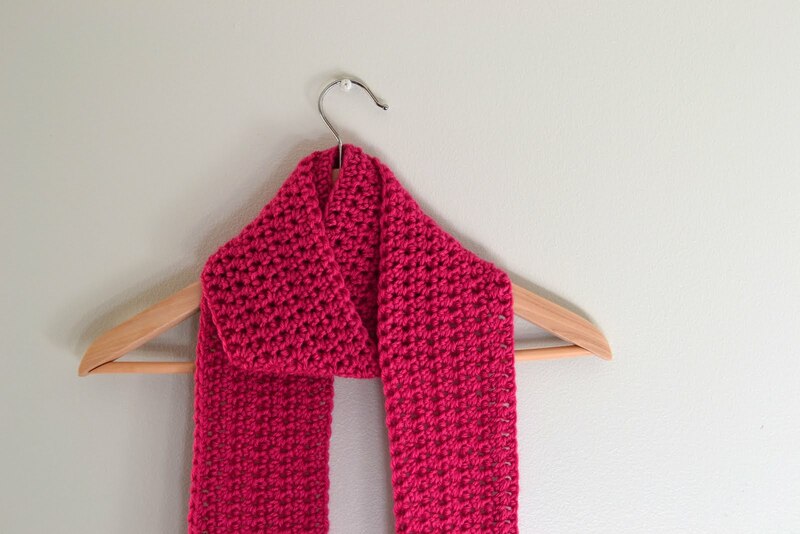 Beautiful scarf - your daughter has such a beautiful name! Extended sc - that is a new one to me and must give it a try. I get that all the time from my friends and husband.... they see me making something and a few weeks later, they're like, "You gonna make ME one of those too?".... story of a knitter's life. Liz, it is gorgeous and the color amazing. Love it and your mitts. Thanks... I love the color too, but Ireland turned her nose up:) good for me hehe! Just dropping by to say that you were featured on my blog! Be sure to stop by and check it out! I just came across your website while looking for a Hello Kitty hat pattern. I, too, have a daughter named Ireland! My Ireland Rose is 2 1/2. I love the name, too. :-). Thanks so much for the free patterns! I am new to crocheting and find that I tend to crochet tight. how can i improve this so my projects will look better. any advise will be greatly appreciated. 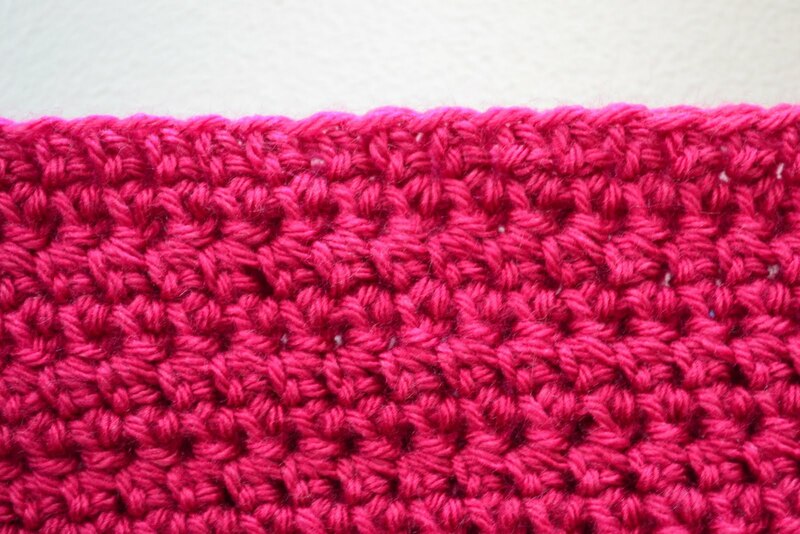 I love this stitch, I've used it a few times and just made a few special projects for a friend with it. I hope you don't mind me linking back to you here in my project description on Ravelry? 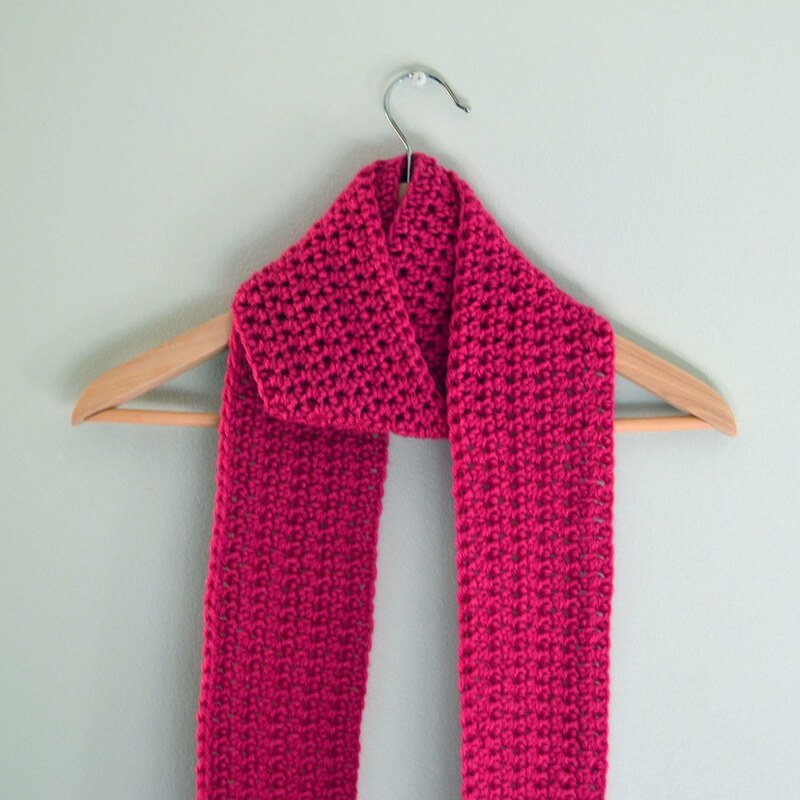 I'm going to be crocheting scarves for the soldiers in US bases all over the world. 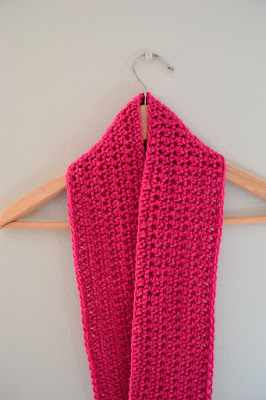 This pattern is perfect because it's easy and I can tell it won't take me any time at all to make one. I love the extended single stitch. I'll be using colors though which both men and women would like. It will be my part for my Girl Scout Juniors as they earn their Bronze award. I'm going to suggest, but not decide for them that this might be a good idea. There are so many things the soldiers are in need of so it will be a nice Bronze award, should they choose it, to make and collect things for them throughout the year. We have some hat looms that were donated to us which we never used also. The soldiers are in need of knitted or crocheted hats and scarves especially during the evenings and winter months.